A belated preview of tomorrow’s game, mainly due to not being back in the groove after holiday, but also as transfer news was coming in and will help shape the team for tomorrow. With the news that Tuesday’s long awaited Charlton win came at a cost – Jon Fortune and Andy Gray out for the season, and Mark Hudson and Graeme Murty doubtful for the Burnley – it will be tough to carry on the positive impetus that the three points may have garnered. At least two new recruits have been assembled for battle – Tresor Kandol, a striker on Leeds books who played for Millwall during the first half of the season, and Darren Ward, another ex-Millwall player who will fill an obvious gap at centre half. Both players have joined for the season on loan, which I know this is not some fans signing of choice, but needs must etc…Stuart Fleetwood has also been recalled from his loan spell at Brighton, in an effort to bolster the squad. The AGM on Wednesday also threw up a couple of other pointers regarding the squad – Nicky Weaver may leave the club this weekend, if he can prove his fitness. It seems that as he is out of contract at the end of the season, the club will blood both Rob Elliott and Darren Randolph and look for them to compete for the starting berth each week from now on (as they have done since Xmas). Darren Ambrose has had a groin injury, but he should be fit for the next run of games, and may get a subs berth tomorrow. Josh Wright is not expected to be given a game ahead of the many other midfield players the club has, and Chris Dickson is likely to be brought on as a sub rather than given a starting slot as he doesn’t always follow tactical instructions. Burnley have had a good-ish season, especially in the cups, but have lost ground following five straight league defeats. However, their form is not bad, despite the results, and they will be looking to get back to chasing the play-off spot they seek with a win tomorrow. Although the manager – Owen Coyle – threatened to play his youngsters in defence in an effort to cut out the basic mistakes which have led to recent goals, I doubt he will follow through with his threat, and I expect him to play his four fit defenders. Subs from Randolph, Basey, Mambo, Racon, Ambrose, Todorov, Kandol, Dickson, Fleetwood. The above is presuming that Parky switches back to a more orthodox 4-5-1 formation, with Shelvey pushed forward, although JonJo may end up on the bench if Ambrose is preferred as a starter? Pedro45 thinks of himself as a realist, so any premature thoughts of matching the 18-game run without a win with a similar 18-game streak unbeaten have to be dismissed, much as I’d love that to be the case. However, realistic points calculations about what might be sufficient to stay up this season do allow for some defeats (and have to, as Reading and Wolves away are two likely reverses…), and this should not be forgotten. Tuesday win was massive, not only for the fans, but in getting that club record off the monkey’s backs. I would love the team to win points in consecutive matches for only the third time this season, even if we haven’t yet managed consecutive wins, but sadly I fear that a make-shift defence and a Burnley team fresh from a managerial rocket may do for us – I’m predicting a 3-1 defeat. My one-to-watch tomorrow has to be old hand Matt Holland; playing out of position, as he has had to three times this season, he has had reasonable games each time. If Charlton are to get anything from this match, then Matty will need to have a (very) good game. He has the skills to be a good centre back – good in the air, can pass, runs all day, doesn’t jump into tackles, but then Burnley will know all that and may aim to expose his suspect positioning and failure to tackle. As long as the team get close to matching the standard that they set on Tuesday, I’ll be happy even if they lose; what we, the fans, and Parky will not accept is heads dropping if we fall behind, and any lack of effort - we need all eleven, whoever they are, so put in undoubted effort all the match. Parky has (slowly) built a team that looks like it will battle for every point; we may not be very good still, but if we get some luck, and Burnley do have an off day, then we could pick up something after all. Martyn Simons pre-empted the questions by wondering what might have been the mood if we had lost 3-1 the previous night, but judging by the happy smiles, the board seemed happy to answer pretty much anything that was fired at them when given the chance. Question: Why can’t the accounts be released earlier? The Board aim to have them ready by October and then they are audited, and released in December; next year, the AGM will have to be in either November or December (due to company law), so accounts will be earlier than this year. Q: What is the likely TV revenue in the next season and will negative equity value be returned if this revenue drops by the expected £10m? Richard Murray said that the bonds were not shown as equity, so really, the equity was about £24m. The TV revenue is expected to drop £10m once parachute payments stop at the end of this season. The board is paying attention to the losses, and anticipate a £1.5m loss next year (2009). There have been two ways to reduce costs – squad cost reductions and reducing staff and fixed costs (the club is already in consultation with staff…). Q: The accounts are approved as a going concern based on what assumptions? The auditors view is that the club will be trading a year from when they signed off the 2008 accounts; this is based on the assumed cost cuts, player sales, etc, being met. RM said 80% of the company equity was from the board (£45m), so the company has the support of the directors. The stadium is bought and paid for, unlike our opponents last night. RM as disappointed with the clubs position but added that for £45m, for seven years we competed closely with Fulham (where Al Fayed had put in £186m) and Middlesboro (where Steve Gibson has input over £100m..), so we punched well above our weight both on and off the pitch. RM said we were a working class club, and must live within our means; banks had withdrawn the overdraft, and the board would consider stepping aside for the right investors. Q: Did Alan Pardew have a free hand with transfers as was rumoured? Not true but he did have a big influence. It was noted that the board should be able to pick and back a manager employed, and they did that with Pards. Q: Have we now got the right manager? The board was unanimous in saying yes. It was easy in hindsight to see where mistakes had been made in the past. The club has not settled with Iain Dowie (spit!) and there may yet be a court case to resolve this (the reasons for his dismissal are not public knowledge yet…). Shareholders were asked to note that revenue (barring TV) is just £5m. Q: How long was Phil Parkinson’s contract and does he have full backing? Parky (and the other coaches) have not had increased contracts, and have 18 months to go. Parky was chosen as he had a better attitude; there are more signings to come. He has different ideas to Pardew regarding players – he wants battlers on the pitch. Parky has a good record as a manager with regard buying players (Iwelumo, Cureton, Marney, Turner were mentioned…along with Spring and Murty) and is very different to Pardew, who had a massive ego. The board agree with Parkinson’s philosophy in this regard (i.e. Burton does more than Gray…). Q: Are the proposed signings permanent or loans? RM said it was difficult to get permanent signings, as none would take a drop in salary on relegation, although it was recognised that the attitude of permanent signings was better. The issue was that it may be better for loans in the short term unless they could buy on lower wages. Q: Why have we had so many loans? RM said loan signings have to be for a month, and can then be extended. Charlton only have two loanees currently (though that may change this week) but they will take them if they have to. Q: What is happening with Nicky Weaver and Darren Ambrose with regard being in the team? Weaver is trying to be moved on, as his contract ends this summer; Ambrose has a hip injury. Q: Does the club finance the Community Trust? Steve Waggott said “No, finance comes from sponsorship and grants”. Q: What cut backs will there be if the club is relegated? The club is looking to save at least £3m on top of the cut backs already planned, which should see the club break even. Q: What is the cost of the links with overseas clubs? Two of the links cost money - Herfolge Boldklub in Denmark (I think, or it may have been Germinal Beerschot in Belgium?) have been told that they will need to renegotiate any finance, and ASEC Mimosa of Ivory Coast are also financed. Ivorian Bi Cyriac Gohi was mentioned by name as being a very good prospect, and a bid has been made for him so he may be sold, as work permit issues abound. Q: Does the club still have planning permission for the stadium if they want to develop? The club has two open permissions – an office block for the south west quadrant that will not be proceeding, and the east stand development which is valid for 5 years, but there are no plans to go ahead at present. It is hoped that should that situation change, then a further application would also be granted. Q: After a long rant where a shareholder merely expressed (poor) opinion, Derek Chappell had to ask if there was a question from this attendee; it came as – What basis can we get out of this mess? DC said that there were still enough games left to do so. The board are frustrated, and agree mistakes have been made, but always with the best interests at heart. The club had no money for a “top” class manager so went for the best man (note – Billy Davies was offered £800k a year and a three year contract, and that type of money is not available from Charlton any longer). Q: Was there a sell on clause for Darren Bent? The answer is yes, but as he was sold for £15.5m (which is a million less than some claim…) and is only expected to raise £10-12m if sold now, the club do not expect to get anything. The original fee was payable over 4 years, but the club paid £1.6m to have payment of this money accelerated (and Luke Young's) when they needed it last summer. Q: Can the club communicate better that Parkinson is not merely Pardew mark 2? This was recognised as a good point. It was also noted that Warnock’s comments from the previous night were pertinent (where he said that the team hadn’t played like that under Pardew…). The board feel he has been transforming the players. Q: What investment is needed? The board will respond to any question of the clubs purchase, and think that the buyer would/should have community views and the same values as the club has currently and in line with the current board. It was expected that any potential investors would wish to involve some current board members (as Zabeel intimated with RM). Q: Can we keep our best youth academy players? The board were confident that JonJo Shelvey will sign a professional contract with the club once he is 17 on 27th February, but cannot be sure as some Premiership clubs do want him too. It is a noted danger… Josh Wright will probably go out on loan until the end of the season as Parky is not sure he can give him games ahead of Spring, Bailey, Zheng Zhi, Racon, Semedo, etc. Josh’s dad thinks he should be playing in the first team every week! Q: Where has the money gone – Pardew was noted as spending £12m but the list of bought players in the Annual Report comes up short of this? Some of the transfer payments are staggered, so they are not always aligned. Q: Was it wise to show the accelerated payment and the revaluation of the ground at the same level? This was noted as a surprise to the board as the two are not linked, and it is probably just a coincidence that the monies are the same amounts. Q: Is there a prospect of going into administration? No plans to do so, and quite the opposite in fact! RM added that the board would welcome any of our competitors doing so!!! Well, the monkey has finally jumped off Addicks backs. It may not have been pretty, it may not have been conclusive, but we won, and for the first time in 19 league games. In all honesty, the game itself was too tight for much goal mouth action; too close for sweeping moves and good passing; and way too petty for young referee Atwell (he of the goal that wasn’t at Watford!). The only goal came from Matt Spring in the fourteenth minute: Lloyd Sam was found out on the left wing, and for about the third time in the match, he sent over a decent cross. This one cut out the keeper and Andy Gray and Deon Burton both converged on the far post along with their markers. A defensive header went upwards and the ball took an eternity to drop around the penalty spot, where amazingly nobody else was. In charged Spring, steadied himself and then lashed the volley straight into the back of the net (left). The Valley erupted like it does in these games, and the players celebrated. Any rebound and/or worry about a failure to hold onto the lead soon dissipated, as Charlton more than held their own in the half. The midfield battle was being won, with Gray dropping back to help at every opportunity, and Burton won and kept plenty of possession, even when Atwell failed to see him being fouled. Mark Hudson, who was fit to play (but only just!) won nearly everything in the air, and when he didn’t, Jonathan Fortune, Graeme Murty and Kelly Youga swept up any resulting danger. Nicky Bailey battled alongside Sprint, and Tom Soares, playing against his former team, even made some good runs down the wing without much support. Half-time came and went, and though the visitors made changes early in the half, Charlton still hung on. Rob Elliott in goal hadn’t really made a save. Then Fortune hurt his ankle with half an hour still to go and he had to go off; to his credit, even though he could hardly stand, he wanted to carry on, but Matt Holland deputised. This was just after the oppo had brought on another ex-Ipswich lump in attack, so there were fears about an aerial bombardment, which was justified. Holland revels in such moments though, and his leaping for headers was excellent in the rest of the match, only marred by one poor clearance from the right back position which put the team straight back under pressure. Urged on by the crowd, the team hung in, and with Chris Dickson on for the tiring Gray, and Basey on for Sam on the left, it was all hands to the pumps. Elliott made his first real save with his legs at the near post, but the best late chance came after Spring had broken with a three versus three attack; ever the professional, he chose not to lose possession in going for goal, and instead took the ball to the corner flag where the linesman annoyingly gave a foul against him for shirt pulling. When a similar situation arose a minute or so later, Dickson ambled toward the corner flag in similar fashion. However, maverick Chris then burst between two players and into the area unchallenged. Should he shoot or cross for a poorly placed Burton? Chris crossed (sorry!) and the ball was deflected clear; it was a good chance. Five minutes injury time was signalled, but Charlton carried on seeing it through, wasting time when they could (Elliott and Youga were booked for time-wasting…and I think Youga now gets a suspension?). Then the final whistle went amid wild celebrations off the pitch. I didn’t see the on-field antics, but I gather that Elliott(left), Kinsella, and Holland were to the fore. One swallow doesn’t make it spring, and one Spring win doesn’t mean safety for Charlton, but it is a start. I finally looked at the league table last night for the first time in at least two months -I didn’t see the point when we weren’t picking up any points… It still looks desperate, especially as other teams near the bottom also had good results last night, but…well, why can’t we go 18 games unbeaten when we have just gone 18 games without a win? OK. I don’t believe that either, but maybe eight wins and four draws will be enough to save us? It is not impossible! With the news that Fortune may be out all season, and with Murty and Hudson carrying injuries that could still keep them out at the weekend, a decent new defender is now a higher priority than ever; hopefully the promised imminent signing will fit that particular bill? This result was a start; there is still a long, long way to go, but at least Parkinson has his first win, the experienced team played pretty much as we have been asking them to, and the monkey has departed. Bring it on! Home from holidays, and plenty has been going on since my last post…while I was away, Charlton got beaten twice in the league, and once in the cup, but did manage to win a game (the 3rd round cup victory over Norwich..). I’ve not seen the goals or highlights from any of these games, so cannot pass much judgment; it seems the defeats to Forest (described to me by a friend a “shocking”), and Wednesday (described by Phil Parkinson to us all as “shocking”) are best forgotten, while the cup victory was a surprise, and the subsequent cup defeat not so, despite an improved showing. With all the comings and goings of loan signings, at least the team will (should?) have some sort of consistency over the next crucial three months, although we are now starting to get hit by a crop of injuries that could hurt us, but alternatively, could provide the opportunity for some players to make their mark and a name for themselves. Since I was at The Valley for the Norwich game, Jay McEveley has gone back to Derby (injured and released early); Martyn Waghorn has rejoined the stiffs at Sunderland (a victim of having too many loan signings originally, and then left out due to the formation Parky used…); Then there was a goodbye to Hameur Bouazza, being recalled by Fulham only to join Birmingham on loan. Tom Soares has joined on loan from Stoke and Graeme Murty from Reading; Matt Spring has signed permanently from Luton (via Sheffield United). Therry Racon is now fit again after injury and Zheng Zhi is almost fit (and not going to be transferred this week it seems? ); however, Jose Semedo is out for couple of months, and Mark Hudson is doubtful for the midweek game. Oh, and Izale Mcleod has been loaned to Millwall until the end of the season, and I understand has already started to fluff chances for them (good boy!). With youngsters like Jonjo Shelvey, Josh Wright, Scott Wagstaff, Darren Randolph, and even Saturday’s substitute Jack Clark pushing for places, Parky still has plenty of players from which to choose. The problem he seems to have though is fitting them together with the senior pro’s and into a winning team – the choices all over the park do seem to be endless! Nicky Weaver is the experienced pro, but he has some sort of hip injury, which came when he fell heavily at Blackpool in early December. Fit enough to play the following week, he then joined the ranks of the hurting too much (back ache from picking the ball out of the net to much? ), and hasn’t been seen since. This gave Rob Elliott a chance, and he has done OK, but Elliott was historically always behind Darren Randolph in the reserve goalkeeper pecking order, and now Randolph is back and free from his poor loan experience at Hereford, he has seemed to have been given the nod as first choice over Elliott. Randolph came into the team in the cup replay at Norwich, kept a clean sheet, and therefore his place for the next two league games, but Elliott played on Saturday. I think Randolph will be back on Tuesday night. As Parky seems to dislike the clubs only true right back, Yassin Moutaouakil has only played on the cup games (when loanees have been cup-tied); he seems to have done OK, showing his known potential going forward and his known weakness defending. With Murty probably available (he did get injured at Wednesday, and would not have played on Saturday if not cup-tied, so could still be out? ), Parky will almost certainly bring him back into the team if fit. The central defence make up is coloured by Hudson’s knock; if he is not fit, then Kelly Youga (who allegedly “played” left back on Saturday) will partner Jonathan Fortune, unless Parky throws the ball to Matt Holland and plays him at centre half again? I have a feeling that Hudson will see this as a game he may wish to miss and that will mean a recall for Grant Basey at left back and a surprise recall for Matty. Fortune has fond memories of scoring in this fixture, so let’s hope history repeats itself on that score. Defensive back up is short, so Moots or Youga should make the bench. The midfield options are enormous – Parky can pick any option in his four or five man midfield featuring Spring, Nicky Bailey, Holland, Shelvey, Wright, Racon, Lloyd Sam, Darren Ambrose, and Soares. The question of who lines up kind of depends on whether Parky plays two up front or just the one. If the choice is to start with 4-5-1, then I would expect to see Deon Burton start, with Ambrose in the hole behind, and a middle four of Sam, Bailey, Spring, and Soares. 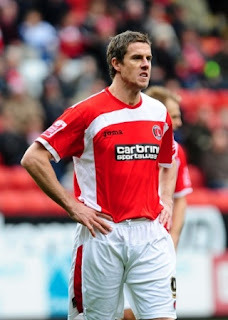 If Parky feels that now is the time to unleash Saturday’s scorer Chris Dickson for real, then he will possibly play alongside Andy Gray (with Burton on the bench). This would leave the midfield as above with Ambrose also benched. Bearing in mind our opponents have conceded eight goals in their last two games (which is worse than Charlton!!! ), maybe we ought to attack them from the outset? Subs from Elliott, Moutaouakil, Youga, Shelvey, Racon, Wright, Ambrose, Burton, Wagstaff. Pedro45 hasn’t seen a game for over three weeks, hasn’t seen a win for over three months, and hasn’t seen a good season for over three years. I predict that our run has to come to an end sooner or later (please) and that a 2-0 winning score line would be just the job. My one-to-watch in this derby game is going to be Chris Dickson; he has the gift of knowing where the goal is, and how to get the ball into the net – now is the time to let him loose. He's been on the transfer list for over a month and nobody has made a decent enough bid for him, and this game is the last in which he will have a chance to shine if he really wants to leave The Valley this month; a goal or two may just push the asking price up a bit which would be no bad thing and work out well for all parties. It’s been a tough three months or so to be a Charlton supporter; 19 league games without a win is a record that nobody at the club should be proud of. I can remember so pretty bad Charlton teams in the past (I’ve witnessed relegation years in ’72, ’80, ’90, ’99, and 2007, and some pretty close scrapes in other seasons too…), but none of those teams ever went this long without winning a match. This squad is far superior to others that have represented the Addicks in the recent past – regular players like Ray Tumbridge, Peter Shaw, Bobby Goldthorpe, Kim Grant, and Lawrie Madden were far worse than anything we have on the books now (the debate is open however!). Now is as good a time as any to end the winless league run, otherwise one or two of the current crop might start to feature in future worst ever Addicks elevens team lists, and we don’t want that do we! In some ways, Charlton's season so far could be argued to mirror the weather I'm having on this holiday(! ): Bright sunny mornings initially (home wins over Swansea and Reading in August) followed by rainy afternoons (defeats away at Preston etc). Then some prolonged rain, with the odd sunny period (Pardew's last ten games) and then from Sunday, 54 hours of constant heavy rain which replicates our 18-game winless streak during which time Phil Parkinson took over as manager. To say I was happy that we beat Norwich would be an understatement, but surprisingly, here on the day of the game, it didn't rain on Wednesday - a sign of better times? Let's hope so. Darren Ambrose scored the winning goal as early as the sixth minute, so wonders never cease! In a strange way, if you had seen the team that Parky picked beforehand, you would probably have felt that he had already conceded the game, and merely wanted to protect certain players from injury and yellow cards. In came home-grown youngsters Darren Randolph, Josh Wright, Scott Wagstaff, and Rashid Yussoff was on the bench along with the even younger Jonjo Shelvey (given a rest...). The fact that this team, with up to 12 players who could be called home-grown in the squad of 18, held on, not only shows how poor Norwich were (a negative view, with Roeder since being sacked), but how well they actually did (the positive aspect). Actually, since then we have have some sunshine even (a couple of hours on Thursday afternoon) and when we woke this morning, it was positively tremendous weather, with clear blue skies and very little in the way of cloud even out to sea. Now I'm not expecting everything with the Addicks to be hunky dory from here to season end, but maybe, just maybe, we have turned the corner and brighter prospects are in store? Sure, it did rain a little this afternoon (it normally does in the afternoon's here...), but that has even stopped and it is brightening up a bit as I type. I cannot see Parky sticking with the same starting eleven at Sheffield Wednesday tomorrow - the first of consecutive trips to the city, as we now meet United in the 4th round of the cup next weekend - even though NYA has intimated that to not do so would be an injustice to the youngsters that finally made Charlton a winning team again. More likely is that Rob Elliott will be restored in goal, Graeme Murty will come in at right back (for Moutaouakil), Matty Spring will play in midfield (for Wright), and Jonjo will be restored to the starting side (for Wagstaff). It may still be 4-5-1, but the options are better with these players starting I feel - Ambrose and Shelvey can alternate between playing in the gap and wide left (or right). The hope, and let's face it we are clinging to any faint hope we have at present, is that we can follow up the cup win with another in the league, and get that 17-game without a league win monkey off our back in the same week too. Wednesday are no great shakes - they scored twice in a minute (including arguably a wonder goal) at The Valley some months back, but then had to cling on luckily for the win. I'm not really sure what their form is like, or how they have been faring at home recently, but if we play well, then the fact that they, and their fans, will be expecting an easy win against the league's rock bottom team could work in our favour. I also presume that the cold weather has relented enough to allow the game to proceed? If we can start to put in more consistent displays between now and May, then at least the sunset we have been hoping to see (any sort actually, as there has been too much cloud on the horizon every day so far to make even the merest hope of seeing the sun as it sets impossible! ), could be a good one. what we now need to see is more of the same, and sunnier times ahead. It seems that the one home league game I missed through being on holiday this year was another defeat, another nail in our coffin, and one that extends Charlton's winless run to a record breaking 17 league games. Reports say we had 55% of possession; 22 shots to 4; 12 corners to just one for the away team; but we still contrived to get stuffed. My friend simply texted the fact that we were "shocking". Luckily, I hadn't bothered staying up till way past midnight in order to see if CAFC TV would work in this part of the world, and a quick look at his text when it arrived was sufficient to get me snoring once more. I didn't plan to do much blogging while away on this trip, but the weather is, well, wet, and there are just so many games of Scrabble you can play before getting a tad bored. Anyway, the other day I did get some decent photos of the Orang-Utans (literal translation - man of the Forest), so I guess they will be celebrating; I must remember not to wear my Charlton shorts next time I go up to see them in case they start taking the mickey! If only the confidence was there to bring about the overdue win, then the cup game is another that could be the catalyst of change. Norwich, in two recent games against the Addicks, have shown that they are not much better than Charlton, but then, how much better than us do you need to be these days to claim a victory? In yet another confidence sapping episode (but one from which Parky will be able to take a lot of positives I'm sure...), Pedro45 predicts a 1-1 draw, with Charlton getting beaten on penalties in much the same way as last season. The first of Phil Parkinson's new batch of loan signings arrived today I see - whether you like the idea of bringing in loan players or not, Charlton have little option what with no (real) money available and few clubs willing to sell for a reasonable price...welcome Reading right back Graeme Murty. This move is confirmation that Yassin Moutaouakil really doesn't figure in Parky's longer term plans, and I suspect that willl irk plenty of fans, especially as Moots had a decent game in the cup at the weekend. Other new signings will follow soon it seems, though whether any arrive in time for Saturday's game against Nottingham Forest is unclear. The Forest game really is a massive one for the club, and can justifiably be called a six-pointer... A win for the Addicks will drag the visitors back into relegation danger while anything else looks like it could signal the end of hope in getting out of this mess, especially with tougher games to follow. I'll miss the game (and with an 8-hour time difference and dodgy hotel internet connection probably won't get to listen in either...), but it sounds like those that couldn't play in the cup will be back for the league game; Mark Hudson, Andy Gray, Murty, and Martyn Waghorn could all get starting places. That still leaves the squad in need of filling in for the Norwich cup replay, though with Jonjo Shelvey being aimed at the FA Youth Cup game that week, I doubt he will feature at Carrow Road. My time abroad has so far seen plenty of blood (two nosebleeds and a cut finger!) and sweat (it is hot and humid here), but no tears; I'm hoping that after the next two games the fans, players and management have no cause to cry at all. I suppose when one considers all the rubbish served up over recent months, it would be easy to concentrate on the negative points to come out of todays FA Cup 3rd round tie, but I will try to pick out some of the good things too. That’s not to say that there were signs that all is miraculously right with the Addicks, as that is most certainly not the case, but at least those positive indications of an upturn in form seen in the Derby and QPR games were somewhat still evident. Phil Parkinson started the game with a new line up, mainly because of injuries. Although Rob Elliott was fit enough to start in goal, it was interesting that Darren Randolph – now released from his abortive loan spell at Hereford – was preferred as bench back-up over Nicky Weaver. Drinkers on Bartram’s suspect that this may be a sign that Nicky is on his way out of the club, and I tend to agree that it does look this way, as the club will do well to realise a transfer fee for him and be rid of his “Premiership” wages at the same time. In defence, with Crainie having returned to Pompey, it was great that Parky chose to play Yassin Moutaouakil. He may not think he can rely on him, but Moots does offer an attacking option through his pace that Crainie never could. Mark Hudson was either not fit or not wanting to pick up that booking that will see him miss the league six-pointer next Saturday, and in a surprise choice when the match started, it was Matt Holland who replaced him and lined up alongside Jonathan Fortune in central defence. Grant Basey played at left back as expected, with on-loan McEveley not allowed to play in the cup. The midfield also had a fresh ring to it, with Jose Semedo and Nicky Bailey being joined by Jonjo Shelvey, while Lloyd Sam played on the right and pushed up along with Hameur Bouazza at every opportunity. That left Deon Burton to play as a lone-striker ahead of the injured Andy Gray. The game started quite slowly, but as Charlton settled, Holland looked relatively comfortable in his new role at the back, and Shelvey got involved at every opportunity. The tactic seemed to be to try to play the ball to Burton, and have him either flick on or lay back so that the wingers could be brought into play. Shelvey got forward well in a way that belies his age and shows exactly what the team has been missing. The first goal came after twenty minutes, with a sweeping Charlton move courtesy of Fortune’s fifty yard pass out to Bouazza on the left wing. After confronting the full back, Hameur crossed for Shelvey to fire in left footed from 16 yards into the bottom left hand corner (top pic). It was such a simple goal, but one so rarely executed these day by Charlton. Norwich had hardly had a shot by then (mind you, neither had the home team…), and their three thousand-odd fans began chanting for a sub at that early stage and also calling for the manager to sort things out. Even though the referee gave little Charlton’s way, and the linesman was being very picky with his flag (amazing how some flag for everything and others for almost nothing! ), the home side survived relatively easily up till half-time, and the rarity of a lead at the break. Two Norwich substitutes greeted the start of the second half, but Charlton stayed in shape, and still looked capable of winning, and possibly extending their lead; Sam shot over and Bouazza also had a rare sight of goal, as did Burton. But that second goal just would not come and slowly the edginess and lack of belief started to creep into the play and home support. Some fans, especially with supporters sitting in unusual seats as they are not restricted by league season tickets, vented their anger at Sam, Bailey and Basey in particular, though none were having bad games. Sure, they get tackled sometimes, or misplace a pass, or make the wrong choice, as others in the team do too, but we are what we are nowadays, and these supporters should applaud those who give as best they can…And this was while we were winning! The Canaries supporters finally got their wish and Arsenal reject Lupoli came on up front, and soon, he was wheeling away in delight. Although they hadn’t troubled Elliott much, Norwich had seen much more of the ball and a passing move from the right wing to inside left position involving several players where Charlton always seemed to be chasing and not quite getting to the player in control ended with Lupoli able to turn and fire home past Elliott. I’m not sure if it was deserved, but all the bad habits immediately showed in Charlton players, and sadly, the management too. 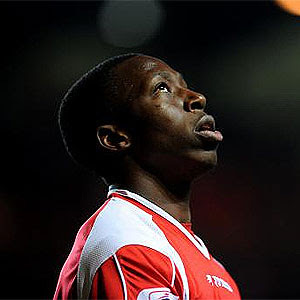 First, Burton was withdrawn and, amazingly, it was left-back Kelly Youga who came on for him. I’m sure the intention was to put Chris Dickson on at the same time, but as that replacement (for the excellent but tiring Shelvey) was delayed for a few minutes, the intent shown seemed to say that a replay was all Charlton hoped for, and this was very disappointing. Neither team came that close to winning it to be fair, even if both sets of fans in the 12,000 crowd urged their own teams to do so. The replay will be during the week after next I guess. Hopefully the management will have instilled some sense of belief in winning into the team (and maybe themselves?) by then, as that was possibly all that stopped Charlton from definitely being in the fourth round today. The undoubted plus point from the game was Jonjo Shelvey’s performance, and his first senior goal for Charlton. After this game, it will be tough for Parky to leave him out, and playing in the hole behind the centre forward, he looked a constant threat with his probing passes and lung-busting effort. It is what most fans have wanted to see this year, even if he is still only sixteen years old. Richard Murray intimated last summer that he would play between twenty and thirty games this season in the first team, and to do so he will need to start most every game between now and May; hopefully his enthusiasm and belief will rub off on others. 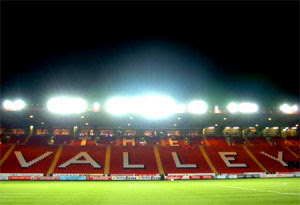 With McEveley and Hudson to return to bolster the defence, Gray to provide more cutting edge to attack, and up to four new signings promised this month, it is not all doom and gloom at The Valley, provided that one of the signings is a psychiatrist who can convince the players that they can win every now and then! Well, 2009 is here at least, and from a personal and footballing (Charlton) perspective, it surely cannot be as bad a year as 2008…well, let’s hope not anyway! 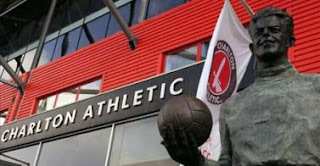 The poor league position of Charlton and the fact that the managerial vacancy has now been filled can be put to one side this weekend, as the Addicks face Norwich in the FA Cup at The Valley. Now, you can look at Cup games in two ways – positive, and negative (funnily enough! ), but how you look at them usually depends on how you are doing in the league at that particular time. With Charlton, having a pretty crappy season means that it would be good to actually win any game, and if that first win in 17 matches comes in the cup, then so be it. I’ve never really been one to venture that cup games are a distraction; I want the team to win every game no matter what competition it happens to be in. Those that say that we should field a weakened team so we can concentrate on the league are missing the point: Confidence comes from results, and if the team can get that first victory in three months (strewth!) in this match, then they can only be the better for it. Of course, when you are near the top of the league and winning games every week, then the cup can be a distraction; bookings, sendings-off and injuries gained in cup games can only harm longer term prospects in the league, which is the bread and butter of the club. But why should Charlton worry about that this season when those eventualities are going to come along anyway? A home tie would normally be favoured, but such is the negativity amongst The Valley faithful, that the three thousand or so Norwich fans attending may make it feel a bit more like an away game. Sadly, home cup games are not normally the advantage that they should be to Charlton, as can be testified from looking at the stats over who has knocked the club out of the two cup competitions over recent (the last twenty) years. I'm not goiing to name them here, but several lower league teams have given us a tough time! At least Norwich don’t fall into the list of small club looking to show the big boys a thing or two category, even if they will think that they are going to win easily, based on league form. That form was highlighted just before Xmas when a woeful Addicks performance at Carrow Road showed the Norfolk club at first hand just how poor Charlton have been recently. I guess it could work to Charlton’s advantage if they think they only have to turn up to win, even if that may prove to be close to the truth. Charlton have made the decision to appoint Phil Parkinson permanently as manager for the remainder of this season, and until further notice. 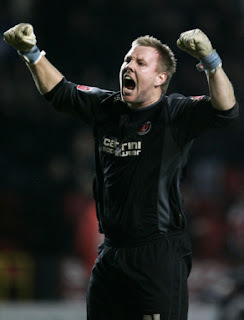 He therefore joins Firmani, Foley, Nelson, Bailey, Mullery, Craggs, Lawrence, Gritt, Curbishley, Dowie (spit! ), Reed, and Pardew as full-time managers in my time as a supporter. Lucky 13? We’ll see, but I do admit I like him a little more than some of the others, even though he hasn’t presided over a win yet! He may not be in the Paulo class but, financially, he is a pretty safe bet. Parky first job is to get a team out on Saturday; with the loan-player situation slowly sorting itself out – Gillespie and Primus gone; Burton signed – but there are still question marks over whether Martin Crainie is going to sign on again after his loan expired last weekend. Hameur Bouazza is here for the season, and he has been granted permission to play in the cup game, though Jay McEveley and Martyn Waghorn have not apparently. This at least gives Parky the welcome option (possibly) of changing the team and freshening things up. In goal, Parky has the choice of sticking with Rob Elliott, who hasn’t really done anything wrong recently, or backtracking to give hopefully fit-again Nicky Weaver a game. When Weaver is playing well, he is a much better ‘keeper than Elliott, but he can be prone to mistakes, and maybe a loss of confidence. His demotion to the bench was put down to injury a month ago, but it may be that we see his return to the first team this weekend? This may be hard on Elliott, but I do feel that Weaver can win us matches more often than Elliott. The defence will depend somewhat on whether Crainie has signed on again. If he has, I would expect him to play at right back, alongside the central defence of Mark Hudson and Jonathan Fortune. With McEveley out, Grant Basey should step in at left back as he seems to be favoured over Kelly Youga by Parkinson. The midfield has been bolstered, if that is the right word(? 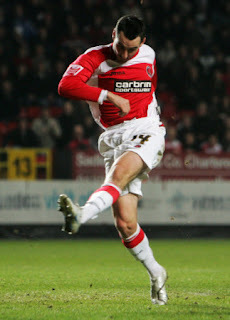 ), by the return of Darren Ambrose from a loan spell at Ipswich. Most fans hoped that Ambie would do well enough to be signed by his old club, but as we fans know too well to our cost, having him in the side has been like playing with just ten men at times, and Ipswich have sent him back with a “thanks, but no thanks” message. I bet the Board aren’t too happy about that either, as his wages are high and he is out of contract in the summer; even a £250,000 tag would have been enough to have bade him farewell I suspect, but now the club may not even get any of that. He could return to the team, but I suspect that Hameur Bouazza will remain on the left wing after his goal last weekend, and goal-maker Lloyd Sam will be preferred on the right. The middle of the park could be an area where Parky tries something new? Jose Semedo didn’t play in the last game, possibly due to getting a few lumps kicked out of him on Boxing Day. 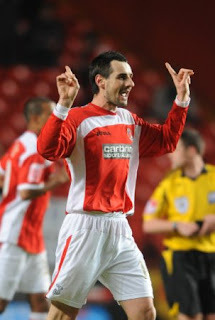 He does remain the one true holding midfield player that the club has though, so I’d like to see him back in the side. Although Nicky Bailey scored twice in the last Valley match, I would rest him for this game, and give JonJo Shelvey (left) a free hand to show how good he is/can be. Shelvey has been on the verge of the team all season really, but seldom given the chance to shine. With little to lose, now may be the time to let him loose? Up front, we no longer have to watch the loan player rule, so any of the forwards at the club could play (except Waghorn). And we do have lots of strikers; it’s just that none of them are doing that well. With Waggy unable to play, it is unlikely that Burton and Gray will be paired, as they are quite similar, although Parky has made the point in the past that they could be used in tandem. I suspect though that Gray will start with one of Todorov, McLeod or Dickson, though this is less likely, as Dicko wants a transfer and I doubt the club would want to jeopardise the money they might get for him if he got an injury that took a month or so to clear. Norwich have all their loan signings available, but that no longer includes Leroy Lita, who scored against the Addicks in that match just before Xmas. They will have Antoine Sibierski in their team, as he has recently signed from Wigan on a loan, and he has scored against Charlton in the past and will be a threat. Quite frankly, Charlton cannot get much worse than they were in 2008, so Pedro45 is hoping that 2009 starts with a victory, and that leads to better days for the Addickted – my score forecast is a 2-1 win. Nobody really wants the game to be a draw – cold January night replays are not much fun even if you do know who you might get in the next round…- so I’m hoping that we get a result at the first time of asking. If the players feel the league burden is lifted a little, and if the appointment of Parkinson as full-time manager has a positive affect on the players, then we could just witness the start of the revival. I hope so! My one-to-watch in this match is going to be Andy Gray. Poor Andy has had a terrible year with deep troubles at home and an uneasy time on the pitch too; he is another who will wish for better things in coming months and I hope he can follow in the footsteps of my last two ones-to-watch who both scored. We have not seen the best of Gray since his arrival over a year ago, so why not pick this game to show us how good you are Andy!